If you've ever wondered how Miranda Kerr— entrepreneur, supermodel, and mother—keeps her skin looking fresh, youthful, and positively glowing, you're not alone. Although, the answer to this question is rather obvious. Along with following a healthy lifestyle, Kerr maintains a thorough skincare routine, which utilizes products she created herself (no big deal). She first launched Kora Organics back in 2009 in Australia (where she's from), marking a major career shift for the model. "Building Kora Organics has been a wonderful and rewarding transition from my career as a model to owning and operating a business that I'm truly passionate about," she tells MyDomaine. Since then, her certified organic products have made their way to the states, taking over the shelves of Sephora and, now, the utopic streets of the Grove shopping center in Los Angeles where Kerr recently unveiled a pop-up shop for the skincare line. 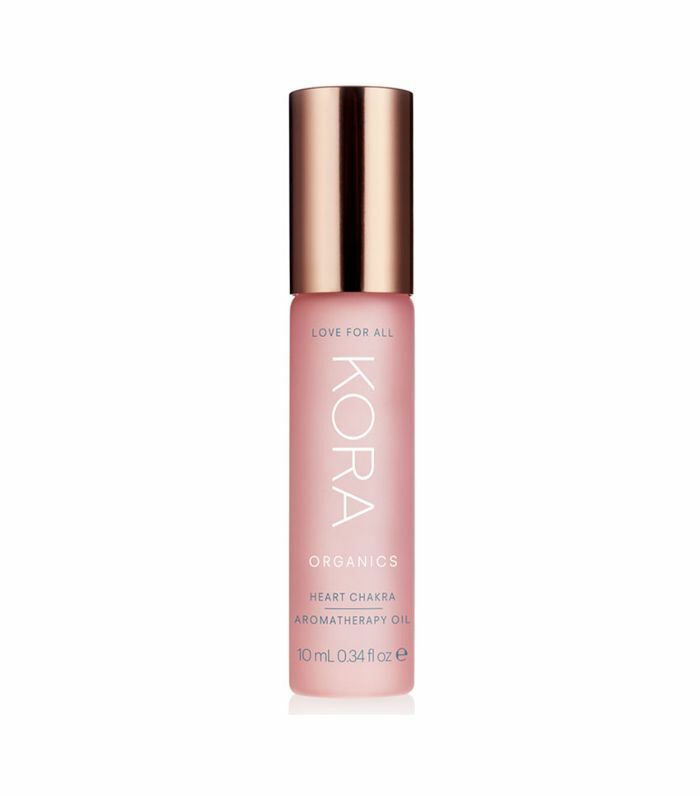 "It makes me so happy to see people really embracing Kora Organics, and that consumers globally are becoming more interested in finding clean, organic alternatives to cosmetic and beauty products," she says. If you ask Kerr about her own skincare routine, her passion for her products is clear—she uses each and every one of them as part of her daily skincare routine. Keep reading to find out exactly how Kerr uses the products she created. According to Kerr, her morning skincare routine is "clean and simple." She starts by dry brushing her skin all over before her morning shower to remove dead skin cells and get her circulation going. 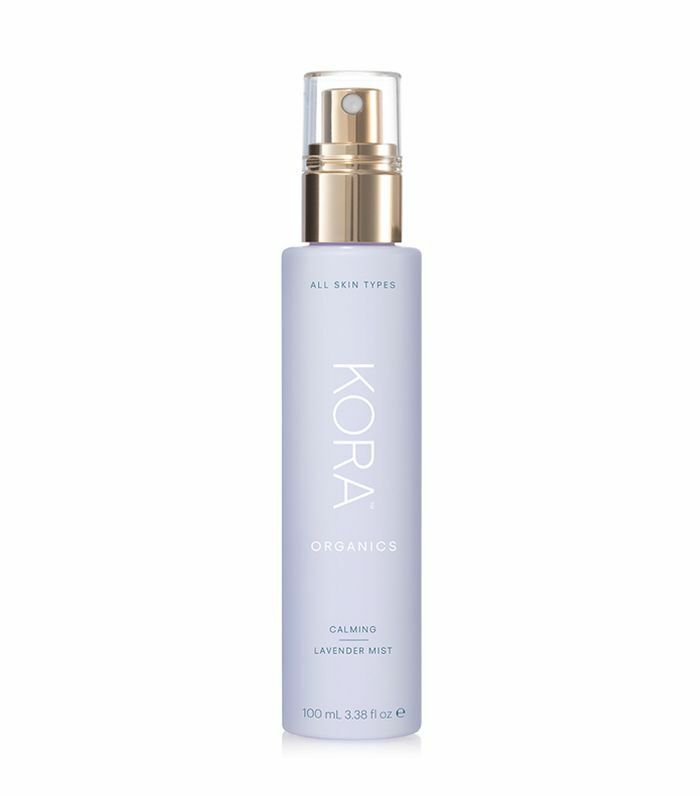 Next, it's onto a few of her favorite Kora Organics products. 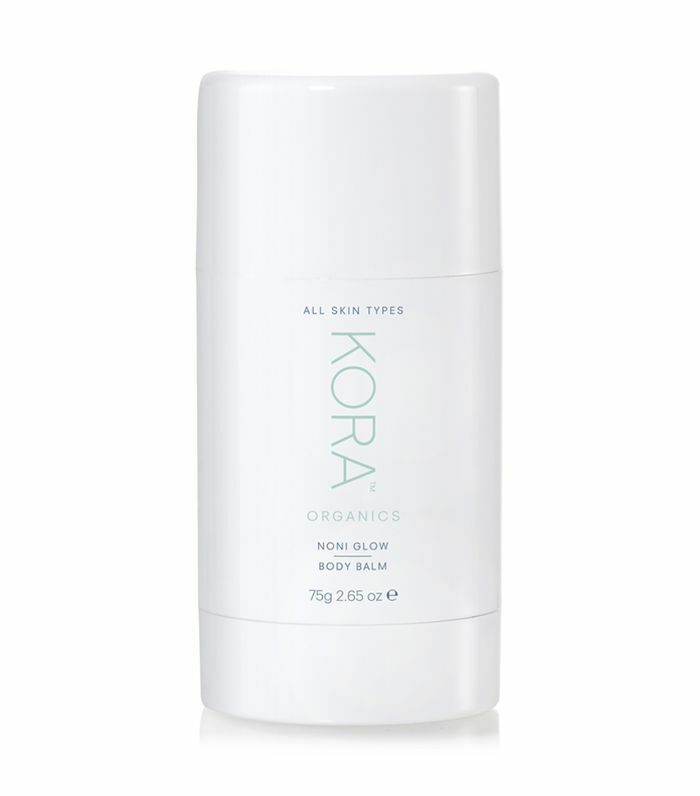 Kerr begins with her foaming cleanser first thing in the morning. "It's a soap-free cleanser containing Noni extract, green tea, and aloe vera to gently cleanse without drying or stripping the skin of its natural oils," she says. "After cleansing, I use the Energizing Citrus Mist to tone my skin," the entrepreneur explains. After toning her skin, she grabs her eye oil to smooth and brighten the eye area. Kerr's morning moisturizing routine requires not one but two products. 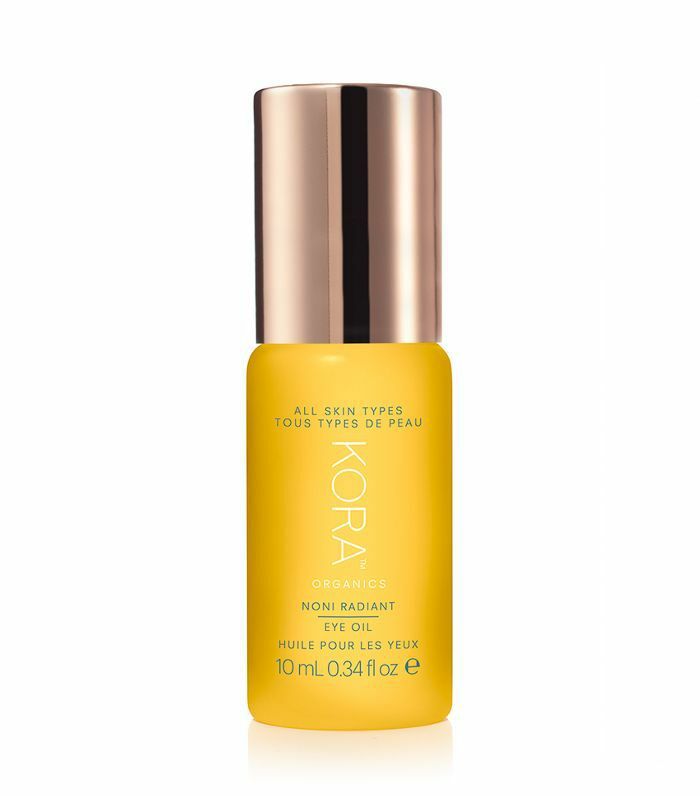 The first is this moisturizing face oil with Noni extract, which the model drops into her hydrating moisturizer. After adding a few pumps of her face oil to this moisturizer, Kerr applies the combination all over her face, neck, and décolletage. While it's not part of her daily routine, Kerr turns to this two-in-one mask three to four times a week. It brightens and cleanses the skin while reducing inflammation and evening skin tone. "I love the effect that this has on my skin," she says. "The peppermint aromatherapy is so invigorating and uplifting," Kerr continues. Kerr's evening routine calls for many of the same products she uses in the morning, only with a few swaps and additions. Here's how she gets her skin ready for bed. 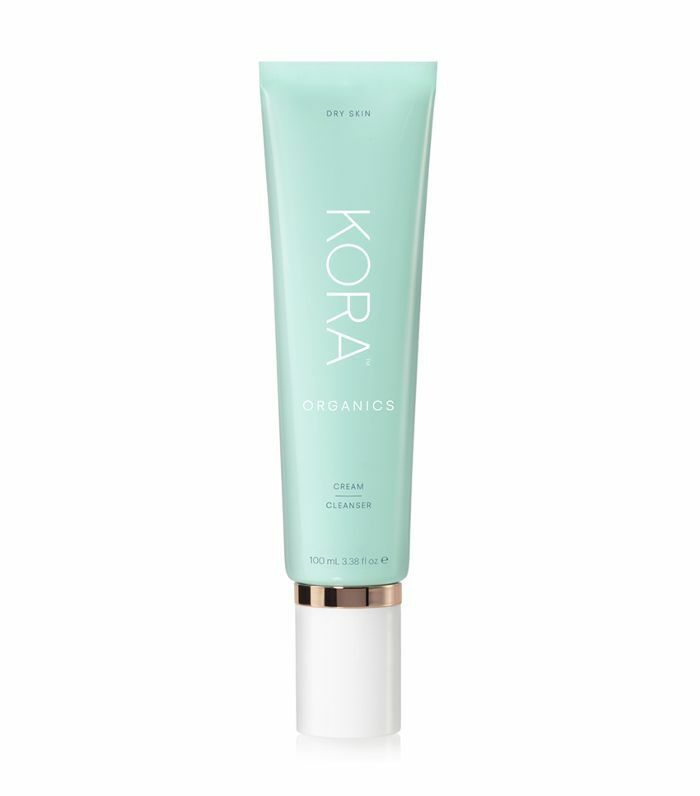 In the evening, Kerr cleanses her skin twice with this cream cleanser. "It's very nourishing and soothing," she explains. Kerr swaps her energizing morning mist for this calming lavender spray at night. "I like to spritz this on my pillow before going to sleep," she shares. Next, Kerr mimics her morning routine with the same eye oil to brighten the area around her eyes, followed by her moisturizing regimen. Just as in the morning, Kerr adds this face oil to her hydrating cream to moisturize. This moisturizer (enhanced by a few drops of face oil) once again coats her face, neck, and chest. According to Kerr, her routine also includes using this body balm twice a day to keep her skin soft and moisturized all over. 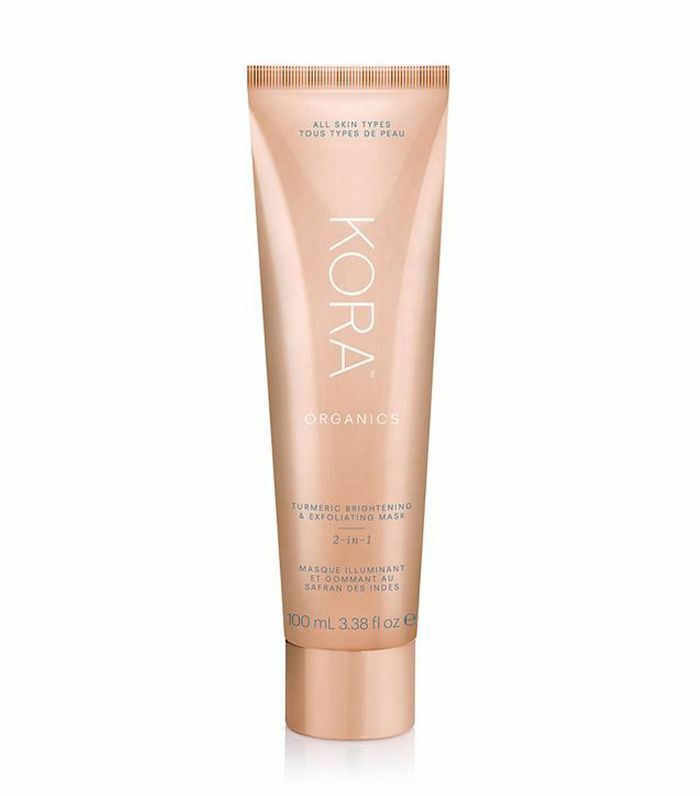 She pairs the body balm with body oil to obtain that perfect glow. "This combination is super nourishing and helped me prevent stretch marks both pre-, during, and post-pregnancy," she reveals. 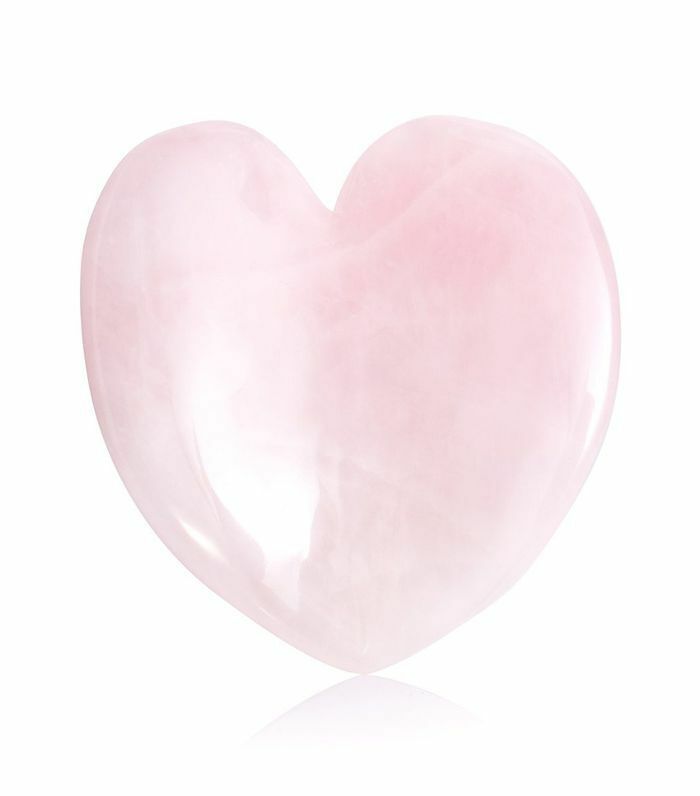 This heart-shaped sculptor can be used day and night, according to Kerr. It's inspired by the ancient healing technique gua sha and is used to massage your face and neck to stimulate circulation, reduce puffiness, and tone. 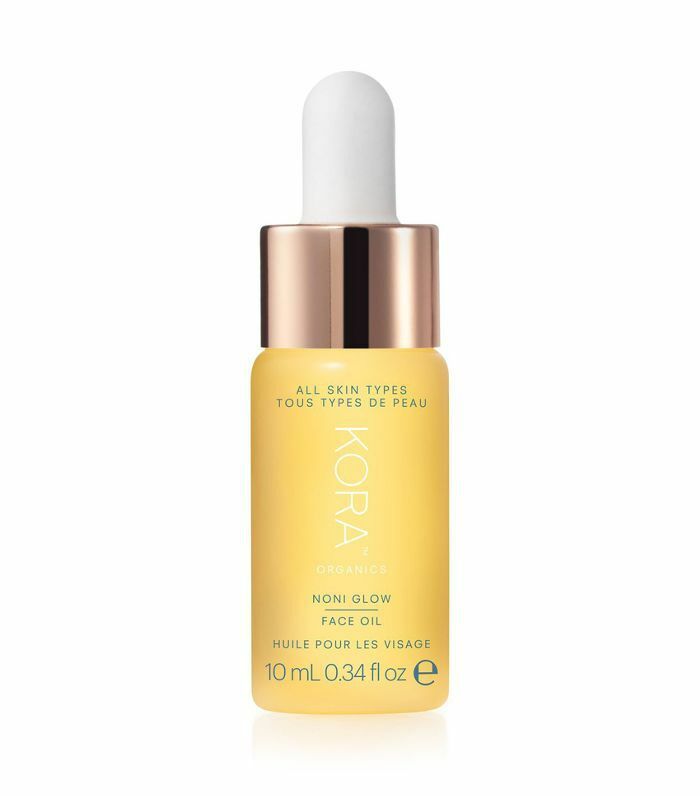 "I use this technique daily for a five-minute facial massage with the Noni Glow Face Oil as it also helps it absorb deeper into your skin," Kerr says. With a jet-setting career, Kerr is no stranger to the in-flight skincare routine. "Travelling can take its toll on your skin, so it’s important to ensure you keep as hydrated as possible, especially throughout the flight," she says. Here's what she keeps in her carry-on. You'd be hard-pressed to find Kerr traveling without the travel-size products that come in her Daily Ritual Kit. It contains a cream cleanser, rose mist, and hydrating cream. This is Kerr's personal aromatherapy blend containing Rose Otto, sandalwood, ylang-ylang, and cedarwood. "Rose Otto opens the heart and mind, sandalwood induces calmness, ylang-ylang aids in stress and anxiety relief, and cedarwood promotes a soothing effect and assists in mental focus and vitality," she explains. It's just the thing to keep you relaxed before and during your flight. A single-serve sachet containing essential vitamins and minerals is perfect for travel, according to Kerr. "I love this product because it’s easy to use on the go and provides me with an extra boost of energy whenever I need it," she says. 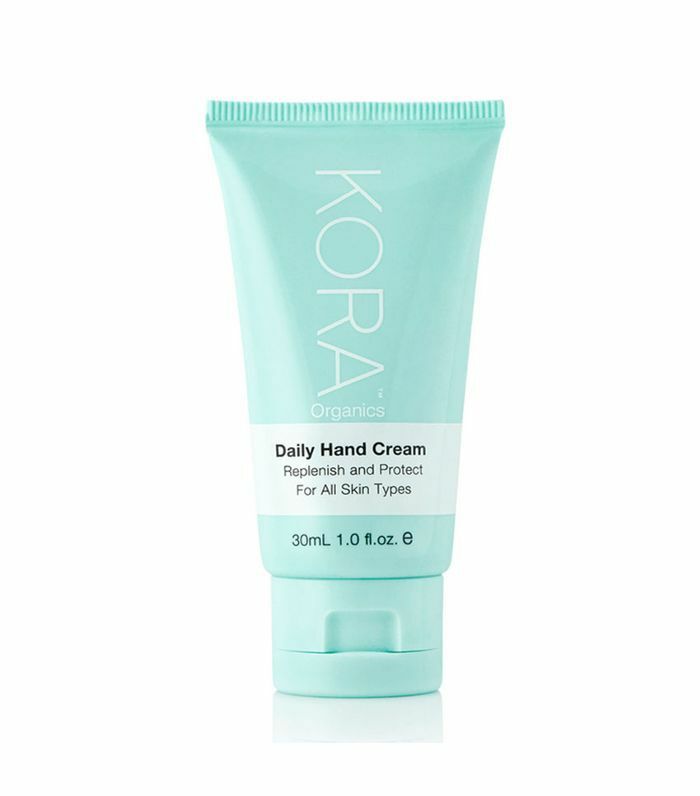 "Hands are often forgotten and can be the first area to show signs of premature aging, so I apply this hand cream regularly," Kerr explains. This one comes in a small tube perfect for packing in your carry-on. Next up: Elizabeth Hurley credits her ageless skin to doing this 10 times per day.